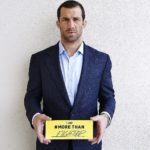 Rockhold was born on October 17, 1984 in Santa Cruz, California. 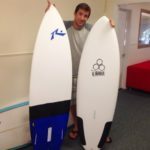 His brother Matt Rockhold is a professional surfer (they sometimes go surfing together). 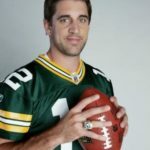 His father Steve Rockhold was a professional basketball player in Europe. 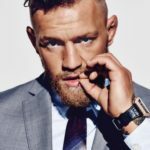 Rockhold has Irish and Native American roots. At the age of six Luke was engaged in judo, but gave up this sport when he was ten. 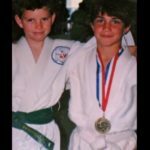 In seventh grade Rockhold joined the school wrestling team and was engaged in Brazilian Jiu-Jitsu. 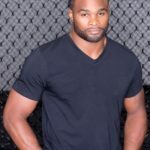 After winning several Brazilian jiu-jitsu tournaments he decided to try his hand at mixed martial arts. 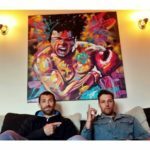 Rockhold joined American Kickboxing Academy. In July 2007, Rockhold made his debut against Mike Martinez at Melee on the Mountain tournament. He won in the middle of the first round. In November 2007 he lost his second fight to Tony Rubalcava. 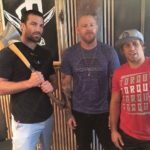 Soon Strikeforce organization offered Rockhold to take part in Strikeforce tournament: Young Guns II. One more fight took place at Strikeforce tournament: Destruction where Nik Theotikos was his opponent. At Strikeforce: Shamrock vs. Diaz Rockhold won a third victory in a row. 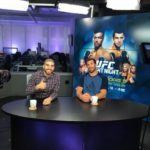 At Strikeforce Challengers: Villasenor vs. Cyborg Rockhold fought with Cory Devela and defeated him in the first round. 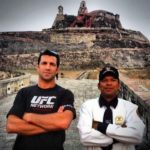 At Strikeforce Challengers: Gurgel vs. Evangelista Rockhold defeated Jesse Taylor, participant of The Ultimate Fighter 7. In February 2010, Rockhold defeated another The Ultimate Fighter 7 participant Paul Bradley. Despite the long absence due to injury, Rockhold still got a chance to fight for the Stikeforce middleweight title with the reigning champion Ronaldo Souza, and he won, thus becoming the new Strikeforce middleweight champion. In January 2013 Strikeforce organization was closed by parent company Zuffa. 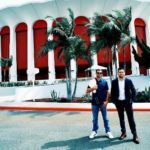 Rockhold and some other fighters were transferred to the UFC. His first fight in the new organization was against former light heavyweight UFC champion Vitor Belfort. Rockhold lost. On January 15, 2014 at UFC Fight Night 35 Rockhold won the fight against Costas Philippou by TKO in the second round. Luke was awarded Best Knockout prize and received $ 50,000. His next opponent at UFC 172 was Tim Botchi. Luke became a winner once again. In the main fight of the evening at UFC Fight Night 55 Rockhold’s opponent was Englishman Michael Bisping. 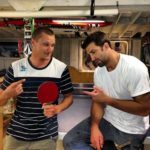 For the victory Rockhold was awarded Performance of the evening prize and received $ 50 000. 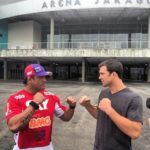 On April 18, 2015 in the main fight of the evening at UFC on Fox 15 Rockhold met with former UFC light heavyweight champion Lyoto Machida. 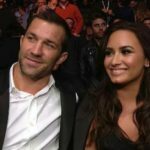 For the victory Rockhold was awarded $ 50 000 for Performance of the evening for the second time. 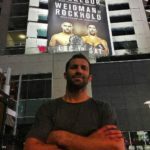 The victory over Machida gave Rockhold opportunity to meet with undefeated middleweight champion Chris Weidmann. Their fight was held at UFC 194 as the second most important event of the evening. As a result Rockhold became the new UFC middleweight champion. At the UFC 199 tournament Rockhold lost the middleweight UFC champion title, losing by knockout to Michael Bisping. 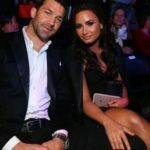 As of late 2016, he is dating singer and actress Demi Lovato.